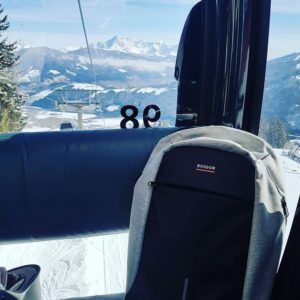 Earlier this year, we started our giveaway contest in January 2018 where we wanted you to share with us your Ruigor backpack at a special place and share it on Facebook, Twitter or Instagram with the hashtag #BackYourLifeUp. The contest is officially closed and we are proud to announce our winner……. @Karpf89! This backpack features our unique anti-theft feature that puts your mind at ease when travelling anywhere and everywhere. Check it out in our Link collection! Thank you to everyone who’ve participated in the giveaway contest and for sharing your pictures with us. Stay tuned for more exciting happenings from us.